Why is it fair for taxpayers to subsidise businesses but not the disabled? George Osborne was today set to attack both the Labour Party and UKIP as being bad for business. Isn’t that a bit rich, coming from a man whose party uses taxpayers’ money to subsidise private firms? Across the UK, firms of all sizes – ranging from huge multinationals right down to the smallest traders – take advantage of the taxpayer-funded benefit system that supports people who earn less than the Living Wage (the minimum amount necessary for a working person to be able to pay their own way). Osborne would have you believe this is good for Britain; more firms are employing more people – and that’s got to be good, right? Wrong. More people may be employed, but on increasingly less money, meaning the burden on the taxpayer is increasing all the time. But the taxpayer has increasingly less money to give to the Treasury, meaning that – instead of saving the economy – Osborne has put us into a vicious spiral of diminishing returns. That’s what you get when you ask a towel-folder to do a real job! It would be far better to demand that businesses pay the Living Wage. It isn’t an impossible dream – only a few decades ago, it was possible for one parent to earn enough to house and feed an entire family. Why doesn’t this happen anymore? There is, in fact, no reason for it to have stopped. The only conclusion we can reach is that the Tory government is using the system to leach money into the pockets of wealthy businesspeople. By pushing benefit payments so low that the unemployed and low-paid struggle to support themselves, they have made it possible for employers to pay less and pocket more. That is why the names on the Sunday Times Roll Call of Shame (otherwise known as the Rich List) are so much richer this year than they were before the Tories weren’t elected. The answer is simple: Compel businesses to pay the Living Wage. Oh, but you think that will be bad for business too, do you? Mr Osborne would tell you so, would he? How odd – because this would be no different from a policy his government has been happily forcing on benefit claimants since 2010. You see, as stated above, the policy has been to make living on benefits extremely difficult in order to force people to seek employment. This in turn allows firms to depress wages because they can tell the workforce there are plenty of other people waiting to take their places. Only today, on this blog, we were discussing Tory David Willetts’ plan to cut Disabled Student Allowance. He wants us to believe that this will get students with disabilities to work harder, rather than expecting the taxpayer to lay everything at their feet; in fact, he is taking away their lifeline and leaving them to starve. But the argument works just as well with employers. Any government with the guts to tell them that the crutch of in-work benefits is being removed and they will have to pay the difference is sending out the same message to employers as they did to benefit claimants: You’ve had it easy for too long. Now it’s time for you to earn your keep. Some firms will go under. Unlike the disabled people being victimised by David Willetts (et al), we should shed no tears for them; they weren’t helping the economy. More will pay up – finding new markets to fund the extra expenditure. These are the businesses that will build the real economic recovery. Labour is one of only a few political organisations that support the Living Wage, and therefore the only mass-appeal political party that would have a genuinely beneficial effect on the economy. You were listening to George Osborne. And he says Labour is bad for business. But then – he’s no economist. How do we wrestle fairness from a rigged economic system? It’s terrific when an article makes you think. Why Capitalism needs unemployment, by Cheltenham & Gloucester Against Cuts, tells us that unemployment is used as a weapon against the workers – with the threat of it used to force pay cuts on employees, while we are told to fear inflation if unemployment falls. So fatcat company bosses win either way, it seems. The article commented on Margaret Thatcher’s ideological mentor, Milton Friedman, who “understood that low levels of unemployment give confidence to workers, who can fight for better pay and conditions. When they’re successful, the profit margins of capitalists are reduced, causing them to put their prices up in response“. We know this happens; we have seen it many times. Some may argue that it is different from cases in which shortages of particular commodities push up their prices and the prices of products that are made from them – but, with fuel prices as the only notable exception, have you ever seen prices drop after these shortages end? The system is rigged to ensure that working people stay poor, either through pay cuts during high unemployment or inflation in low unemployment; meanwhile the employers and shareholders ensure that they stay rich, by sharing out extra profits gained by keeping pay low or by putting up prices. What do they do with this money? The answer, it seems, is nothing. They bank it in offshore tax havens and leave it there. This is why, we are told, Britain’s richest citizens have more than £20 trillion banked offshore at the moment. That’s more than £20,000,000,000,000! Enough to pay off this country’s national debt 18,000 times over and still have plenty to spare. Enough to solve the problems of the world, forever. It is, in fact, more money than we can comfortably imagine. Faced with this knowledge, there can only be one logical question: Why? Why rig the system so that ever-larger sums of money pour into these offshore accounts, if nothing is to be done with it? Where is the sense in that? The only logical answer appears to relate to its effect on workers: Keeping the profits of their work away from the workforce means they are kept in misery and servitude to the ruling classes – the parasitical board members and shareholders. There are knock-on effects. Taxpayers are hit twice – not only are they forced to grapple with ever-more-hostile pay offers, but their taxes pay for in-work benefits that subsidise corporate-imposed pay levels; they support people who have been forced into unemployment unnecessarily and the silly make-work schemes that are forced on those people by the Department for Work and Pensions, under threat of sanction. It’s a protection racket. There should be a law against it. And this begs the next question: Why isn’t there a law against it? How can this corrupt system be dismantled and what should replace it? That’s a very good question, because the other cosh being held over our collective heads is the possibility that firms will move abroad if new laws in this country threaten their massive profits. This is where an international agreement between nations or groups of nations would be very useful, if it was carried out in the right way – a Transatlantic, or Trans-pacific, Trade and Investment Partnership, perhaps. And what do we see? Plans for such agreements have been put together and they do the exact opposite of what they should – tying the workers into ever-worsening conditions. This is why the TTIP, currently being pushed on the European Union, must be rejected – and why bosses will do anything to ensure it succeeds. This is the situation. It seems clear that nothing will change it for the better until somebody has the courage to stand up to these manipulators (who were probably schoolyard bullies back in the day) and say enough is enough; change is coming – do what you will. Tax evasion and avoidance is already a huge issue here in the UK; perhaps we need to make a criminal offence of manipulating the economy – with prison sentences for bosses who put their prices up purely to retain high profit margins when their salaries are already dozens of times higher than those of their workers. But what else is needed? How can such a mechanism be brought in without scaring off business? Or should we let them go, and put something fairer in their place? Ban them from trading in the UK unless they conform to the new model? These are ideas that need exploration – by many people, not just a few. 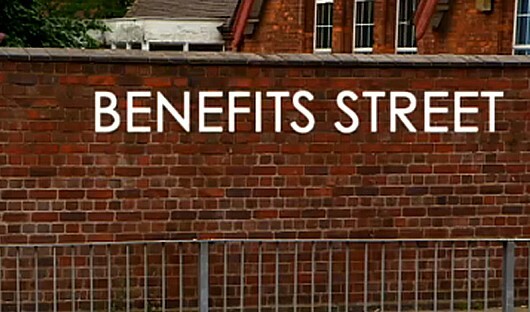 How many of you tuned into the last episode of Benefits Street on Channel 4, and stayed on for the debate that followed? Quite a few, I reckon. They were worth watching, but the feeling that was left with this viewer (and I’ve been reviewing television for 20 years or more) is that we are talking ourselves around in circles – led by politicians with a vested interest in perpetuating the discussion. They don’t want a solution. They want us to keep going over the same ground – which they have laid out for us with very specific limits – and they want to concentrate our anger about this issue so that we blame, not the people responsible – the tax dodgers who put money into tax havens that could be invested in British industry, the private landlords and low-paying bosses who are subsidised by the benefit system and the bankers who caused the economic crisis a few years ago – but the people who have been forced onto benefits through no fault of their own and are being persecuted for it by a punitive system that penalises them for failing to find jobs that really do not exist. Look at the way David Cameron leapt forward with fistfuls of cash to pay for flood relief when Tory heartlands were affected, saying that money was no object and Britain is a rich country. 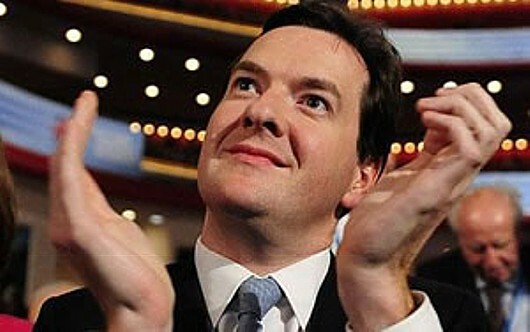 We’re rich enough to look after the playing fields of Eton, but not our poorest citizens, according to his mentality. Property is worth more to him than people. Why? Because the people who send their children to Eton are the people Cameron hopes will elect him (he can’t be re-elected; he didn’t win the 2010 election) in 2015. The unemployed are less likely to vote for him – in fact they are less likely to vote at all. It seems there is something about being rejected by society that instils a sense of listlessness and despair in the human psyche. People ask themselves: Why bother? There are solutions, but it is cause for concern that we are not hearing about them from our MPs and politicians. Journalist Owen Jones came out with the clearest plan during the debate on Channel 4 last night, and it is well worth quoting in full. 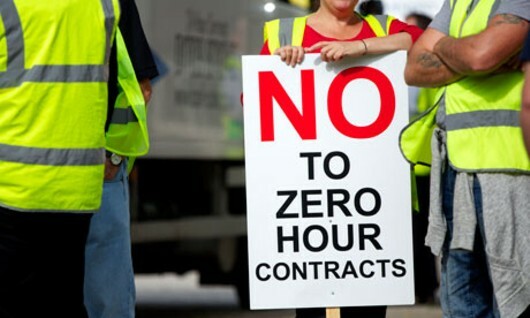 He said: “Firstly let’s make it clear – work does not pay in this country. We hear that as a mantra, when most people in poverty get up in the morning and earn that poverty. “We’re talking about people milking the system. Let’s talk about the low-paying bosses who are being subsidised with in-work benefits because, in the seventh-richest country on Earth, they won’t pay. “If we’re talking about getting people into jobs I actually think we need to talk about solutions here. One in six workers in the last two years have claimed Jobseekers’ Allowance at some point; that’s a lack of security. “What we need firstly is a massive house-building programme that would reduce the amount spent on Housing Benefit which, by the way, is not going into the pockets of these tenants – it’s lining the pockets of private landlords charging rip-off rents. If we build housing, it would create jobs and we would stimulate the economy as well. “It goes the same with the need for an industrial strategy because what successive governments have done, and it started in the eighties, is let the secure jobs go to rot, if you like. Now, other countries like Germany, what they’ve done is had an industrial strategy. Instead of saying, ‘Hands off, let the market decide,’ they’ve said, ‘Actually we want to create jobs in renewable energy.’ Now we’ve just seen the floods; we’re going to have a lot more extreme weather, so let’s have an industrial strategy to go and create renewable energy jobs, giving people secure, dignified jobs, taking on the environmental crisis. Absolutely right. And that’s all we’ll hear about it for the foreseeable future, as well. We won’t hear about returning to a full-employment society (which is perfectly possible), because that means the greedy rich will have less money for themselves in the short term. In the long term, ensuring that there are properly-paid jobs for the most people, so they do not have to claim benefits, means that there is more money moving around the economy – and money makes money. The parasites – who are making a fortune unsustainably by working people hard and paying them poverty rations – would be just as rich in the long run, but they cannot bear to consider the possibility. One has to consider whether they want to force people into poverty, just to make their own wealth seem more remarkable – the poverty trap as ego-trip, if you like. But we won’t hear about that because it is politically inflammatory. Far better to set the lower classes against each other, laying blame on each other for problems that are caused by different people entirely – and laugh all the way to the offshore bank. If I had to describe Britain to a foreigner, I would ask them to imagine a person being robbed outside a public lavatory, by the mayor of his town, while council workers started demolishing the building; the rich are destroying our public services and mugging us at the same time. … while blaming you for problems they have done nothing to solve. Vox Political strives to stand on its own merits. But the site needs funds if it is to carry on. Are wages too low, or is the cost of living too high? Or both? How pleasing it is to see the Archbishop of York agrees with the view, long-held by Vox Political, that British workers should be paid a living wage, and that the taxpayer should not be subsidising big business! This is a sentiment that Vox Political wholly supports. Needless to say, there are also detractors. A commenter known as ‘neilcon’ pointed out: “The high cost of running a small business in this country is one of the main reasons why the hourly rates are so low. If you employ someone at £8 you then have to pay a further 13 per cent to the government in employer’s National Insurance contributions for the privilege of employing someone; you have to supply that person with suitable equipment for their work.” The commenter reeled off a few other business-related expenses before going on to “the issue of the banks utterly refusing to lend to small businesses, the high cost of renting office premises, business rates on your office premises to the government, the high cost of VAT, together with clients trying to squeeze the final price as much as possible and the very late payments by bigger companies. I can sympathise with this sentiment. It doesn’t let off the bosses of larger companies, who have huge salaries and no excuse (FT 350 companies, for example) but they might have a reasonable excuse for not raising pay, if smaller companies say they’ll go out of business if the higher cost is forced on them. … leading us to a recent blog article by our old friend Michael Meacher MP. He points out that our privatised utility companies are forcing every one of us to pay – through the nose – for substandard services. He wrote: “More than £100 a year of an average household [water] bill, that is about 30 per cent, goes on profit, compared with 9 per cent in the energy sector which is itself known for egregious profiteering. 1. 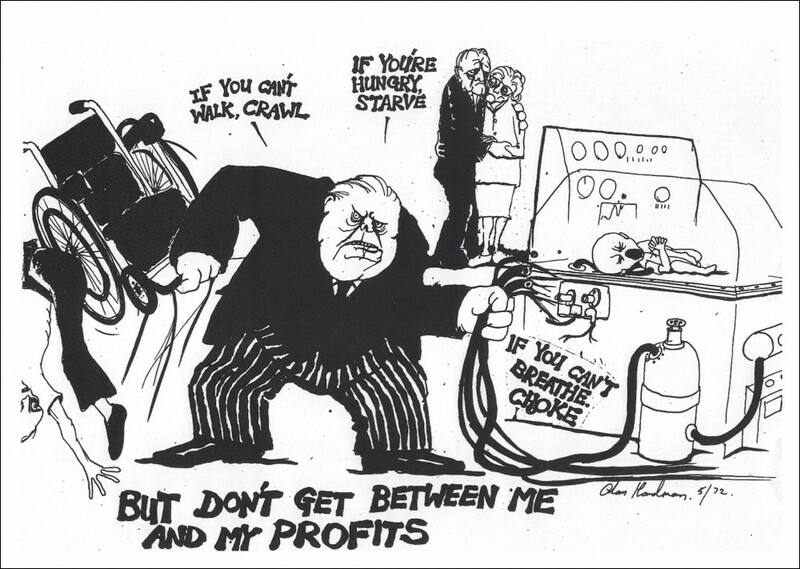 The privatisation of the national utilities – water, electricity, gas (and, some would say, telecommunications) – has failed in its stated aims, which were to democratise capitalism by making it possible for everybody to be a shareholder, to keep bills low, and to end government subsidies for these organisations. Instead, shares have been drawn into the hands of a very few rich investors, bills have risen far beyond wages, and government subsidies have either increased massively (rail) or companies have used the tax system to avoid paying the amount due on their profits (Thames Water and its ‘super sewer’). 2. Company bosses, keen to drive up their share prices in order to create larger dividends for their shareholders and higher salaries for themselves, have successfully held wages down in order to achieve this. As ‘neilcon’ pointed out, lower wages mean less spending on National Insurance, meaning that keeping the employee payout down by pennies per person leads to many pounds in increased revenue. 3. The government is unwilling to do anything about this because it wants to keep wages depressed as much as possible. This is the reason it has cracked down so hard on benefit payments – not because of fraud (which is minimal) but in order to create an urgent need among the unemployed to find work, and terror in those who have jobs that they could be replaced if they complain about the increasingly meagre pittance on which they are being told to survive. There are many subtle sub-consequences as well. You may wish to raise some of them in the ‘comments’ column. This may come as a surprise, but the best place to start might be with the private utility companies. An ultimatum to put their houses in order and charge a reasonable amount, rather than extorting money out of a captive clientele, might produce results – especially if the alternative is re-nationalisation. This might take the pressure off the smaller private companies by actually reducing the amount calculated as the living wage; with lower utility bills, the amount of money needed for a working person’s survival will also drop. If the government and the utility companies got their sums right, this could mean the need to subsidise working people’s pay would be wiped out, meaning a large saving on the tax bill. Feed this through to working people in the form of a tax cut and, again, smaller private companies would benefit (along with everybody else, of course). An alternative of using the money to help pay off the deficit would be unhelpful – we need more, and healthier, businesses in this country, employing more people. Get that sorted and the deficit will come down in any case. On a completely different tack, what about Landlord Subsidy (otherwise known as Housing Benefit)? Why not put a cap on rents, thereby ensuring that the government is not subsidising the rapidly-increasing pace of (some) landlords’ greed? Unfortunately, this is not likely to happen under the current Conservative/Liberal Democrat Coalition government – and it seems the Parliamentary Labour Party is to keen to become the Plastic Tory Party to take a stand; it will be up to its backbenchers and the party’s grassroots members to force a policy change. At the end of the day, wages might still have to rise, due to matters unforeseen in this article. 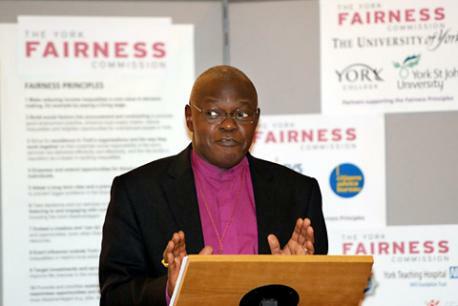 But a plan that acknowledges the mistakes of the past and aims to redress the shocking way that the supply of money has overbalanced to favour a tiny minority – to the detriment of the vast majority – would constitute the first steps on the way to a nation that can not only provide Archbishop Sentamu’s living wage, but also help our struggling small businesses.